Well, here we are. November 2. We’ve officially entered…the Holiday Season. I swear, the Trick or Treaters hadn’t even left the driveway before the first Christmas commercial came on TV. What’s the heck?! Eager much?? But anyways. 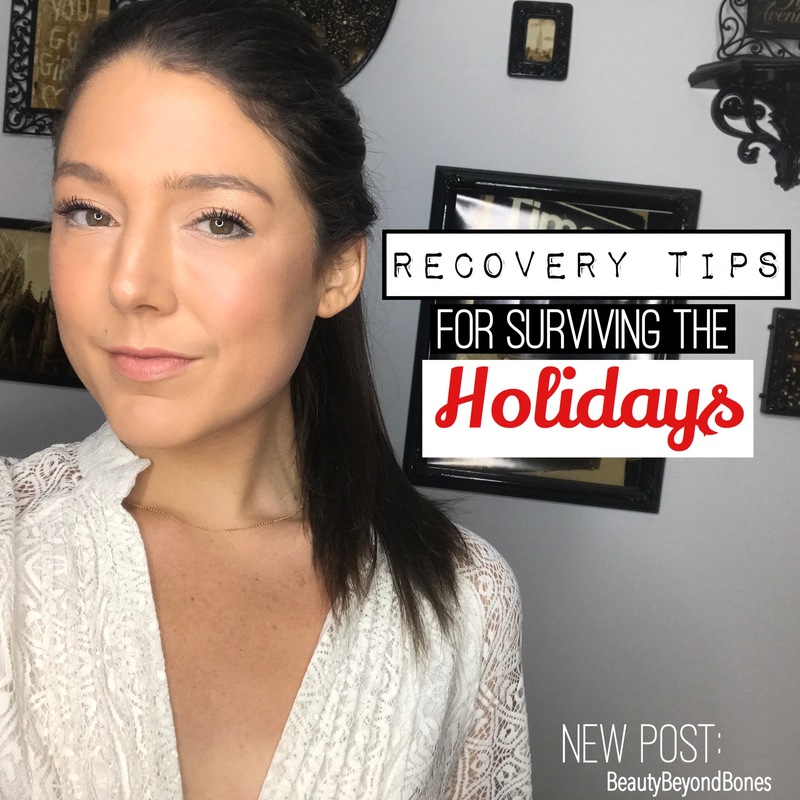 If there’s one thing I know for certain, it’s that for someone in EDrecovery, navigating Thanksgiving and Christmas, and all the festivities and parties that go with it, can be daunting. Staying strong in your eating disorder recovery can be a real test of strength. I have such vivid memories of the anxiety I felt, heading into a season where everything was about food, and sharing meals and holiday parties. Back when I was battling anorexia, I used to dread this time of year. If one more person offers me a friggin Christmas cookie or candy cane, I’m going to bust a cap!! But now, being in my tenth year of recovery, I have come to embrace this season. And it truly is my favorite time of year, again. It has taken me a long time to get to where I am, and I have certainly learned a lot along the way. So here are some tips for those navigating recovery, and also for loved ones, to get a glimpse into what your dear one is going through. 1) Realize that people are going to say dumb things. People are going to say dumb things. And just let it roll off you. You’re beautiful. You’re healthy. And you’re reclaiming your life. 2) Give yourself permission to take a breather. There can be a lot of stress and togetherness during the holidays. And sometimes, you just need to take a minute to yourself. And that’s okay. Know your limits. If you feel like, “I can’t take another minute of Aunt Ruth talking about how relieved she is that I’m doing better” just politely excuse yourself, find a quiet corner of the house, or step outside, and take a little break. Deep breath. I am loved. I am worthy. Jesus, be with me right now. 3) It’s just a cookie. Thanksgiving and Christmas time are full of delicious goodies. That’s the long and short of it. Pumpkin spice lattes, Christmas cookies, eggnog, hot chocolate. For someone in recovery from an eating disorder, thinking about consuming those things makes them go into a cold sweat. But you know what? They’re delicious. And they’re not going to hurt you. Having a cookie or a treat in moderation is part of a healthy diet. Enjoy it! Partake in the festivities! You’re worth it. 4) The Power of Positive Thinking. Sometimes, thinking about going to a party can bring on the anxiety. Before hand, close your eyes and envision yourself having a blast. You’re talking, dancing, wearing something that makes you feel confident, and truly enjoying yourself. Embody that girl of your dreams! Channel her spirit! 5) Have a support person. Sometimes it can help to have a confidant at the party, with whom you can share your trepidations. Just give them a heads up that you could need a little extra support at the outing. Knowing that someone is on the same page and knows what you’re going through goes a long way. 6) Remember the reason for the season. Focus on the people you love. The less you’re thinking about yourself, the more you will enjoy the best season of the year. Honestly, at the end of the day, people love you for who you are. Not what you look like. Not what you’re wearing. Not how you perceive your body to be. People love you for you. Love them back. 7) Pray your way through it. Finally, there really is power in prayer. Sharing with Jesus your fears and anxieties and allowing Him to love you is the best thing you can do to navigate a difficult situation. Accept His peace. And remember that your worth comes from Him. This is the best season of the year, and remember that you’re alive to enjoy it. Keep that in perspective. You’ve chosen life. You’ve reclaimed your health. You’ve won the battle, and sadly, not everyone does. Remember how blessed you are. For more recovery advice, and a guided recovery companion journal, you can order my book, Bloom: A Journal by BeautyBeyondBones by clicking on the link below. Previous Post Let’s Hear it for Halloween! Next Post Living in Fear? People say dumb things?? Say it isn’t so! Congrats on your success beating down the ED. You go spank those holidays like they deserve. Congrats on 10 years!!! That’s fantabulous! You’re just lovely and You shine! 🙂 Cheers! Congratulations on 10 years. Recovery is a very arduous journey at times! Awesome! You are a fighter! I especially love your points about celebrating who you are and your recovery, and prayer. awww 🙂 that sounds like a maaaarvelous night! enjoy!!! 🙂 thanks, you have a beautiful night as well! This was another eye opener for me who has little knowledge about anorexia. Should I encounter such a person in my future, I’ll know exactly how to love on them and make them feel beautiful because you are showing me how! Congratulations on the 10 years and all the lessons along the way that have made you the person you are now. My wife and I have found the best way to survive the holiday season is to celebrate as little as possible. Sure, we have Thanksgiving, but it’s totally a (small) family affair. If my daughter comes to visit then, it’s definitely *her* holiday. Since my wife is Jewish, we don’t celebrate Christmas at all. It took quite some time for my relatives to accept this, but the protests have long since died down. It’s just amazing how much less stress there is in December. That said, we do celebrate Hannukah but it’s a minor holiday on the Jewish calendar (no, it’s not the “Jewish Christmas”). We let our grandson light the candles for each of the eight nights. We even have a little children’s book on the holiday my two-year-old granddaughter loves. No New Years. We go to bed early the night of the 31st. 2018 will roll around whether I’m awake to see it or not. All that said, I don’t have an eating disorder, so I don’t face the challenges you do, but it seems as if you have a pretty good survival kit going for you. Just imagine how far above it all God is, so this too will blow over. This is so inspiring. I’ve struggled with food and my weight for almost six years and I have the same daunting/dreadful feeling every holiday season when it seems like you can’t escape all the food, so reading this was EXACTLY what I needed. And the reminder to just pray is always helpful as well! Congratulations on going through the recovery process and sticking to it as well as you have. I hope to one day get to the place you are in and be able to share what I have learned as a result. What you are doing helps people even if it doesn’t always seem that way, and this definitely helped me. Thank you for this; so many great affirmations and truthful, insightful words. I’m sharing this with my mom in the hopes she finds something to help her through this part of the season I know she dreads. You’re a strong woman and I hope you’re proud of yourself! Have a blessed holiday season and Christmas (just in case—early we’ll wishes are better than late! Though late is better than none 😉). There is so much good advice and good news here! Reading all of this and having witnessed how far you’ve come in the almost two years I’ve been reading your articles makes me just…feel so good! I’m very happy for you and proud of you! A few extra thoughts at Patreon. As always you have an amazing way to share your story and help others. I am grateful you are in your tenth your of recovering. Very proud of you for sharing this with all of us. Thank you. Obeserving the seasons of the church meaning making Advent mean something as a preparation for Jesus/Christmas coming is a great way to put order into chaos. Decorating your house as the season progresses is a good way to reduce stress. Remember that Thanksgiving comes before any of the garland and tinsel and trees should come about. You are wise beyond your years! This is good advice for anyone during the holidays, not just those in recovery, but those with mental health issues, and the dysfunctional family situations, that make us dread the holidays! This is beautiful my friend. Timeless and sage advice. Thank you from one who can apply this to depression. Grace and peace my friend. I’ve battled with my weight so much for 12 years now but I had a very active job & social life which allowed me to stay skinny more or less according to my peers. Now though, I’ve been having chronic dizziness for 3+ years and no doc has been able to help me figure this out so I’ve been so sedentary. I’m always sitting down because I’m so dizzy and any normal movements sets the vertigo off. I’ve gained so much weight and I feel like crap about myself. I can’t fit into any of my clothes anymore and I hate the way I look now. A good post for an outsider to read. I’ll remember that if someone looks like they’re picking at food or turning up their nose at it, there could be a good reason. Thank you so much for this post!! I’ve really been dreading this Christmas season after such a difficult time getting through all the bad food last year and not having meltdowns over it. But maybe this year it can be a little better ow that I’m committed to recovering. Thank you so much! You are such an inspiration about getting through the little things in life in general! Congrats on 10 years also! ! I do have a question: how do you get through everything ? Do you have family nearby ? Sorry if this is personal :/ you’re just so lifted and driven and I admire that! I can only imagine what going through the holiday season is like for someone with ED. I like that you saved the best for last in your ways to prepare – pray through it. It may seem like a cruel joke on God’s part that He set up so much of His relationship with us and the celebration of His gift of life with food and feasting, but it is His truth! The eating and feasting will be as it should be, not as it can be for someone with ED. That’s how I look at the holiday season – as a glimpse, a hint, a foretaste, of the Feast to come. The true Thanksgiving, Christmas, New Years, Easter, all wrapped up in one, eternal wedding Feast! I think that’ll be the topic of an upcoming podcast! Hi Caralyn. You are awesome. You are beautiful. You are so thoughtful of others. Writing a post like this, especially now when you know what too many people are experiencing, is so helpful. And it demonstrates the Love of Jesus Christ the flows from you continually. For the Love of Jesus to be seen in a life, as His Love is in you, it is obvious that the Holy Spirit Of God is guiding you, and you are allowing Him and obedient to His leading. Add to the opening line, You are Amazing. I am forwarding your post to the friend of mine, who I also gave your book to, who has a Daughter in Law suffering with ED. Thanks for your desire and willingness to help so many people. You are a Blessing. Beautifully shared…and congratulations on your success and sharing with others. Thank you. I appreciate your openness to share. Congratulations on 10 successful years! God is truly working through you. Your posts inspire me and thousands of others. May he continue to bless you. I’ve struggled with ED for most of my adult life, and finally got some proper help this year. Your post is going to stay in my inbox as a reminder over the holiday season, you’re such an inspiration! It makes me sad that I should be dreading the holiday season instead of getting excited for it, but as you say, keep praying and working on it and I’ll get there in the end. Thank you for sharing your story, it’s so great to have the experience of someone to know you’re not alone. You go girl. Food disorders are a cruel beast and some of the most difficult problems for patients to solve. Most issues are internal and family members are a key to success or failure. I love your tips here and how not only focus on how the outside can affect your mindset, but also how you can personally take a stance. Congrats on the 10 years. You can be an inspiration to others fighting the same battle. These are also great tips for people who aren’t battling ED. Thanks for sharing! I am a complete Scrooge when it comes to the holiday season. My favorite time of the year is Fall and it seems like it gets pushed to the side earlier and earlier each passing year. I am not full on Christmas til the day after Thanksgiving. Ha! Merry Christmas and happy holidays! 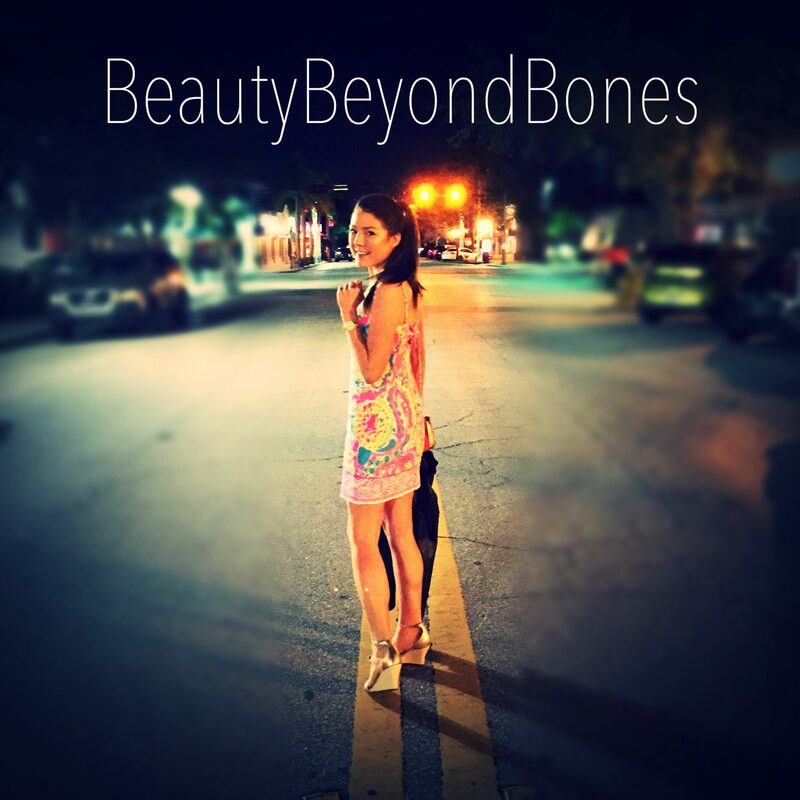 Food disorders are definitely a real issue – Your blog is awesome btw, thanks for sharing! Thanks for sharing, this is beautifully written. I wish I could have shared this with some young girls back in the day! But hello!! What about late nights and hangovers?! This is so right!! And YES, I saw the same you did!! We don’t get many trick or treaters in our neighborhood and my kids no longer go. So I was hangin in the candlelight, watching something and there it was, a Christmas add. I think people in general would be able to channel more enjoyment of the holidays if they took it more gradually in its time. If we didn’t ram Christmas down throats NOW, if we actually gave THANKS for Thanksgiving this month, and held off the Christmas rush til December. I’m not saying don’t Christmas shop early. Some people have to. But if the stores and the adds didn’t push push push, as well as products in stores. Take a more gradual pace, like it ONCE WAS. We just might enjoy it more for its time, and savor it. It was nice, on Halloween night, to also see a Pillsbury add that was Thanksgiving based. You have great things to say about all the aspects you brought up in this topic. God Bless you every day!! God bless us all in the wake of Texas. Let us all pray for them and for all of us as a nation. Hugs and love!! You know what would be cute? You know how there is so much more “marketing of stuff” from the classic holiday tv specials? They have all the little toys of characters from Rudolph, and etc… You go into Walmart or Target and they have, fully licensed, “The Charlie Brown Christmas Tree” that you can set up on your table top, which is a rendition of the famous needle-losing skimpy little sprout complete with the one ornament that Charlie attempts to put on it, in the classic special. I think that either Denny’s or I-Hop, who start marketing “holiday flavors” of their breakfast fare should jump in!! I can see the add now. — COME ON IN DURING NOVEMBER FOR THE CHARLIE BROWN THANKSGIVING FEAST!! 2 pieces of toast, with 3 sides; pretzel sticks, popcorn, and jelly beans!! $2.99 NOW AT DENNYS!! I can see kids ordering it!! lololol Big smiles at you every day!! I know how hard it is to deal with some people during the holidays!! We once had some rotten people that we had to deal with who would spread their toxic all over our joy. Its sad to have that in the presence of what are supposed to be happy occasions. Luckily such toxic is over. I hope those who ask you such awkward questions decrease their need to do so!! Love and hugs!! Great post with easy to understand steps to recovery. I suspect that a little thought can help to apply this advice to recovery from addictions as well. Congrats on your recovery! So much of you write is relatable to anyone facing challenges, especially mental health challenges. Congratulations! You shall never experience such horrible situation in your life again in Jesus’ name. The Beauty, you’re welcome. I covet the success of your blog, though you actually deserve it. I’m working hard so that I can get there one day. Do keep on blogging and succeeding! The Beauty, you’re welcome. I covet the success of your blog, though you actually deserve it. I’m working hard so that I can get there one day. BBB, I have to tell you that when it comes to those who those who are “well-meaning,” I just remember what Ozzy Osbourne wrote in 1981: “Good intentions pave the way to hell. People should just keep their mouths shut-and I say exactly that…YOU know WHY I say that. By the way, I believe in you. I made the mistake of going to church-I’m done. I don’t appreciate being condemned for fighting depression. Jesus didn’t judge. I’m sorry to hear that you had that experience, Jim. That breaks my heart. If what I have been told about Christ is correct (I know He was dead, because I know the mechanisms behind death by crucifixion, I know what happened to Roman guards who slept while on duty, and I know Roman soldiers couldn’t be bought by the conquered-and we haven’t even discussed the Shroud yet), those responsible for what happened on Sunday will be on the left (Matthew 25:41-46). What is most ironically sad is that I blasted Black Sabbath’s final release for at least two hours. Metal has been my spirit guide since I was made suicidal before my 13th birthday. Watching all of this must break your heart, because you are a Christian who TRULY TRIES to live out the Great Commission and I can tell you practice Jude 1:22 nearly everyday of your life. You probably understand because you are fighting your own battle, for which I am quite sure you have been judged by the Church. Thus, your compassion. I wish I had read your message earlier. Where did you get your compassion from? I had it once-up till what happened. What happened in 1983, not in the past few days. I just wanted to make sure that was clear. This mess goes back to my childhood. I just started reading your blog and I love it ☺️☺️ can’t wait to keep reading more! Oh wow thank you so much Kayl! Really appreciate it!! I am currently suffering and terrified about the impending festivities. Thank you so much for this blog and all your others. This month, I sought out treatment, so I am beginning my recovery journey now (I hope). I’ve just started a blog to chronicle my experiences – I hope I can do even a fraction of the good you have done. Thank you so much. BBB will help you get through it. She’s the best. I have to say, BBB, that I consider you a spiritual sister. You demonstrate compassion because you have your own battle to fight. I’m proud of you for your decade. Keep it up. You can do this. I think I’m seeing a difference now. Everything’s a blur, but at least I’m seeing colors again. You try to restore gently. I’m still dizzy half of the time, but you You kind of help me out spiritually. I have a lot of issues with religion, as you well know. BBB Read this and distribute. We have to get this woman released after what she experienced. Thanks for sharing YOUR STORY! Having myself completed the Celebrate Recovery program I am learning to speak up and speak out. To be an advocate for others! I blog about my recovery daily. Would you humbly consider following me to help spread the news about Celebrate Recovery to so many who need it? Thanks in advance!